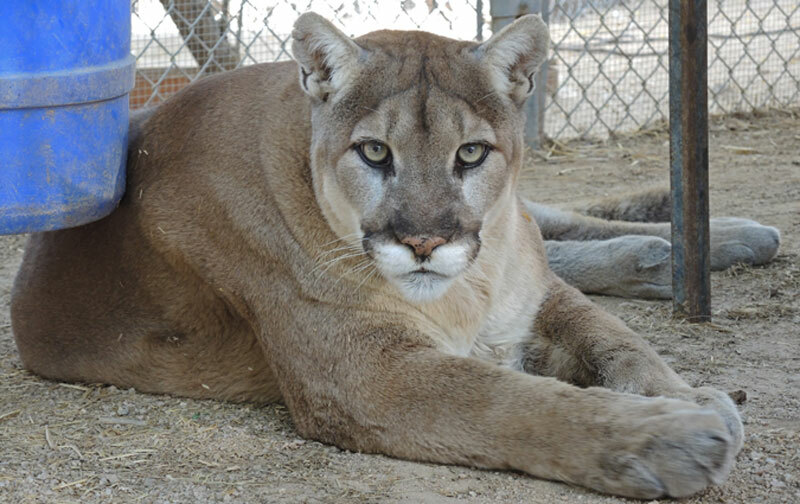 Kino is a large and intense mountain lion born in 2003. He came to live at Southwest Wildlife after he was found on the side of a highway with a shattered leg and shoulder. As he has gotten older, Kino has developed a limp as a result of his early injuries. He's being treated and actually looks forward to his morning medication! 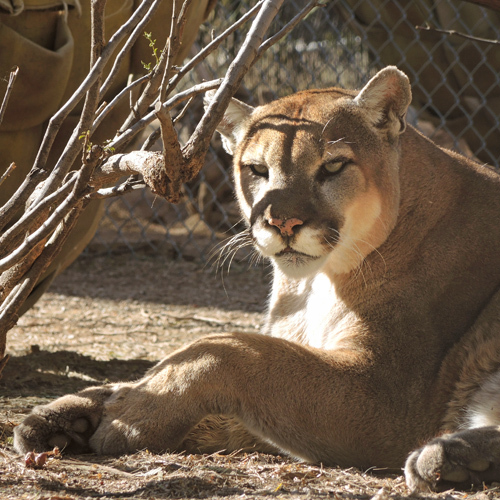 Recently, we allowed Kino and his roommate, Pecos, access to the enclosure where Ash and Giselle live, hoping to encourage Kino to get more exercise. These two older males have lived most of their lives at Southwest Wildlife in an off-display enclosure where they seemed more comfortable. All four lions have known one another through the fence dividing their enclosures for many years. They are all currently enjoying double the space to explore and lounge and getting along very well.